Read by Aoife McMahon. Joyce Conway remembers things she shouldn't. She knows about tiny cobbled streets in Paris, which she has never visited. And every night she dreams about an unknown little girl with blonde hair. Justin Hitchcock is divorced, lonely and restless. He arrives in Dublin to give a lecture on art and meets an attractive doctor, who persuades him to donate blood. It's the first thing to come straight from his heart in a long time. When Joyce leaves hospital after a terrible accident, with her life and her marriage in pieces, she moves back in with her elderly father. 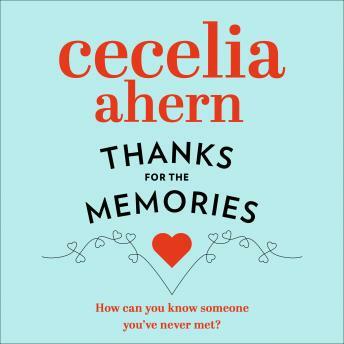 All the while, a strong sense of déjà vu is overwhelming her and she can't figure out why ... Cecelia Ahern: making the everyday magical.